"Great bedside manner. Very knowledgeable." "I have found my permanent doctor, and will recommend him to everyone I know." "I just want to say that Dr. Ahad is an incredible doctor." Dr. Duraid Ahad-Daman is a top-ranked family medicine physician, located in Troy, Michigan and serving patients in the greater Detroit area. He specializes in providing comprehensive care tailored to each patient's unique needs. Dr. Ahad-Daman's goal is to ensure your overall health and wellness. 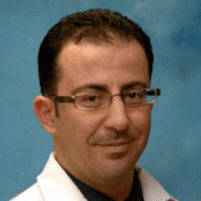 Dr. Ahad-Daman graduated from the University of Al-Mustansiriyah College of Medicine in Iraq in 2001 and completed his residency at Henry Ford Hospital - Wayne State University, Indiana, between 2007 and 2010. He is certified by the American Board of Family Medicine and received his Michigan state medical license in 2013. Dr. Ahad-Daman accepts most major insurance providers. Please contact your insurance provider directly for any coverage-related questions. "If your looking for a doctor who cares about his patients, Dr. Ahad is the doctor for you. Office staff is great and are pleasure to deal with." Dr. Ahad takes his time, answering all the questions, with impressive patience and high quality healthcare, addressing all the issues right away, highly recommend him..."